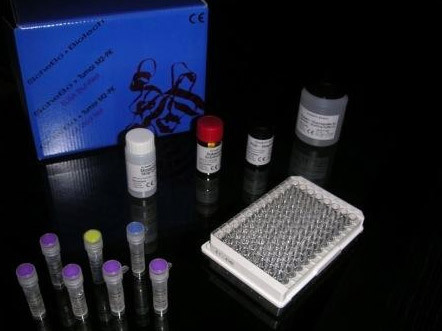 Highly sensitive and specific metabolic biomarker for colorectal cancer screening which is independent of „Faecal Occult Blood“ (FOB).Colorectal (bowel) cancer is one of the most common cancers in the western world, affecting around 160 000 people annually in the USA and 370 000 in Europe and resulting in about 55 000 and 200 000 deaths per annum respectively. If diagnosed early, the chances of a cure are very high (nearly 100%) .The most reliable investigation for diagnosis of colorectal cancer is total colonoscopy. However, the acceptance of this costly and invasive method is low. For a succesful colorectal cancer screening program it is therefore necessary to use the next best screening tools, which should be easy, economical and most of all be well accepted by patients. Patients identified by these tools should be investigated further by colonoscopy. Highly sensitive and specific metabolic biomarker for colorectal cancer screening which is independent of „Faecal Occult Blood“ (FOB). The most reliable investigation for diagnosis of colorectal cancer is total colonoscopy. However, the acceptance of this costly and invasive method is low. For a succesful colorectal cancer screening program it is therefore necessary to use the next best screening tools, which should be easy, economical and most of all be well accepted by patients. Patients identified by these tools should be investigated further by colonoscopy. The currently most commonly used test for bowel cancer screening is the Faecal Occult Blood Test (FOBT). As it simply recognises blood in the stool the test is non-specific for colorectal cancer. In addition, only bleeding colorectal tumors – if any – are recognised. The largest study conducted so far on this subject is the American Veterans Association study in which a total of 2885 participants underwent total colonoscopy. The result was that only 23,9% of those participants with advanced neoplasia had a positive faecal occult blood test. The ScheBo® • M2-PK™ Stool Test is a totally new approach for bowel cancer screening tests. Previously, only non-specific tests for blood in the stool could be used to give an indication of an existing bowel cancer or its precursors. With the new ELISA method for M2-PK in the stool it′s now possible to detect bleeding or non-bleeding bowel cancers, as well as polyps, with high sensitivity and specificity. The test is more accurate because it is not dependent on occult blood. The metabolic biomarker „Faecal M2-PK“ is a screening parameter for colorectal (bowel) cancer and polyps and is independent of „Faecal Occult Blood“ (FOB). Please find here selected literature as download. The complete list of references is to be found on „References/literature fax request“. Here you can download a pdf-file with a list of references/literature. If you you are interested in any of these publications please fill in the form, fax it to us and we will send it to you free of charge.